If you’re ever at Cameron Village and in the mood for some tacos, I highly reccomend Catina 18. 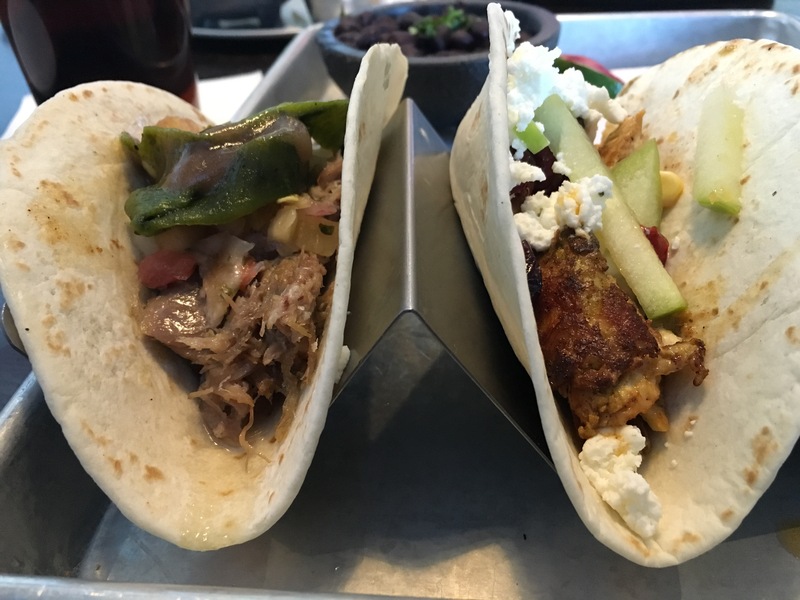 I tried the duck and chicken tacos. The chicken was a little dry for my taste but the concept was great and not your stereotypical taco. It was topped with green apple, goat cheese, and craisins. The duck taco (on the left) was so good I wish I had an entire plate full. The fresh grapefruit salsa was the perfect garnish with the duck. For those of you cringing at the thought of eating duck, it honestly tasted like juicy pork so you probably wouldn’t be able to tell a difference.